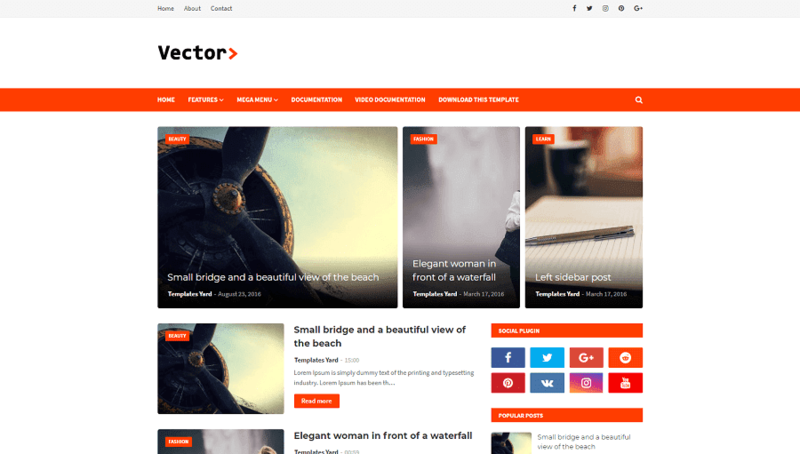 Vector v1.0 is a Responsive Blogger Template that is best suited Blogger template for Technology, Fashion, Sports, Video, Healthy, Travel, etc. It is 100% SEO optimized. This premium blogger template is excellent Blogger theme for Magazine, Newspaper and Blog websites. This Blogger template is fully responsive on every device that makes your content beautiful on phones, tablets and desktops.